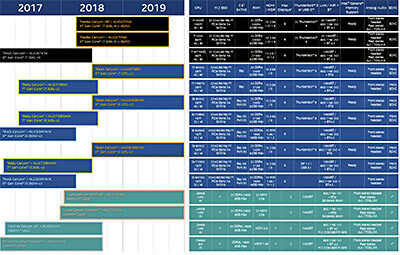 Recently, Intel announced 3 new 8th Gen Core chipsets aimed at the lower end of the market, sitting below the already established Z370. Those new chipsets are the H370, B360 and H310. Features such as the number of available PCI-E and IO lanes reduce as you step down through the range - although Intel did manage to bake in support for USB 3.1 Gen2 into the H370 and B360. For the uninitiated, USB 3.1 Gen1 is half the speed of Gen2, and is what we now have to call USB 3.0, according to the powers that be. The cost of a chipset reflects on the cost of a motherboard and that way, we get a motherboard for every segment and price budget. 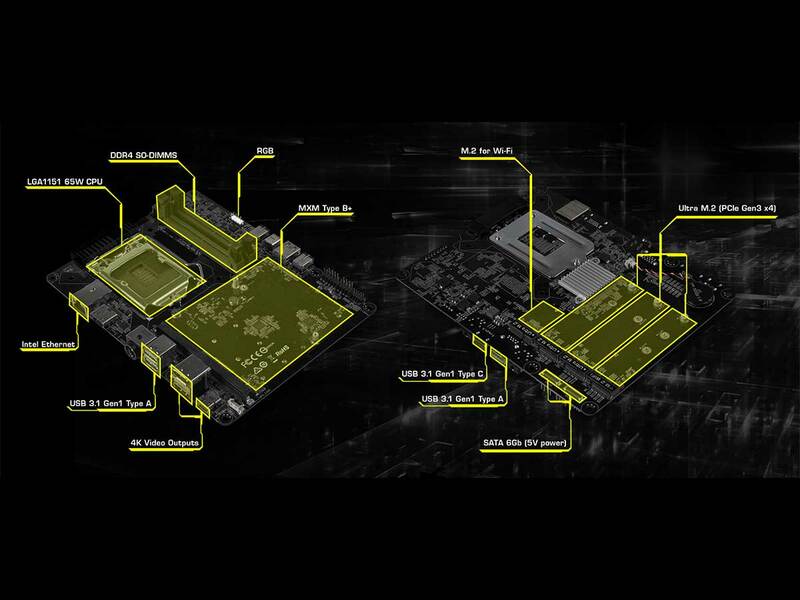 ASRock has been working hard to produce motherboards for all these chipsets. We previously covered the release of GIGABYTE's MA10 motherboard and we were impressed by the features it offers. The Atom C3958 it uses is a fully fledged server-grade SoC with 16 cores each clocked at 2.0GHz with 1MB of L2 cache per core. It features Intel's QuickAssist Technology (QAT) which is their name for a whole range of hardware-assisted crypto acceleration and compression tools designed to secure and route internet traffic. Now, we have benchmarks under Linux OS thanks to the guys over at ServeTheHome. After running eight different benchmarks, the Atom C3958 outperformed the last gen C2758 by a landslide. It managed to beat it due to increased instructions per cycle and the higher core count (from 8 to 16). If you want to see the full benchmarks and to read more info about Intel's QuickAssist functionality, we recommend you visit ServeTheHome. The Mini PC space is heating up as we see more compact systems from manufacturers being released. The reduction in power consumption and heat output is allowing them to pack more powerful systems into small enclosures. It seems like Intel is trying to change a few things with their upcoming NUC family of products. June Canyon - Celeron or Pentium based, low cost NUC with Gemini Lake based processor releasing around New Year 2018. The processors that will be powering those PCs will be Celeron J4005 (10W TDP) and Pentium J5005 (10W TDP). Hades Canyon - A new type of high-powered NUC with both VR and Non-VR models. The non VR comes with 65W Kaby Lake-H CPU, while the VR model comes with *100W* Kaby Lake-H CPU. 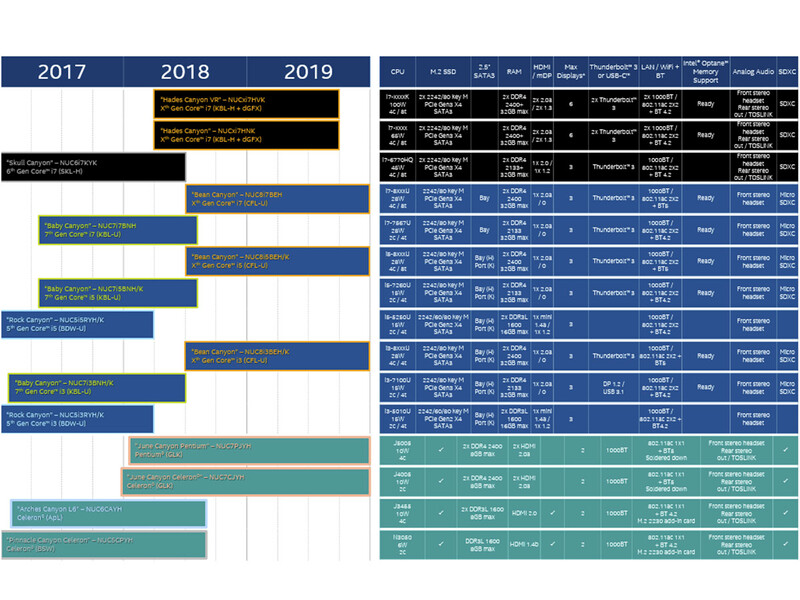 The roadmap suggests it supports dGFX which could mean Discrete Graphics. I will feature two M.2 slots, two Thunderbolt 3 ports and six display outputs. Hades Canyon will be available in Q2 2018. Bean Canyon - The most "ordinary" model of the bunch. It will feature either Core i3, i5 or i7 based on a Coffee Lake-U SoC. TDP of the processors will be kept to 28W. There will be a new type of HDMI connector called HDMI 2.0a. Available in H2 2018. 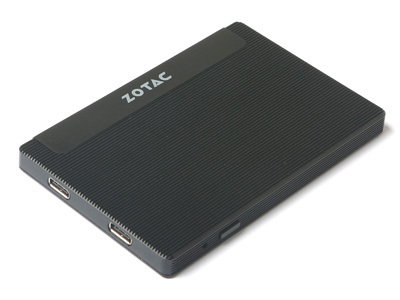 ZOTAC have introduced two variants of their ever-growing Mini PC lineup. The first one is called the ZBOX MI553. It features 7th Gen Intel core processor, Intel Optane memory support and Thunderbolt 3. 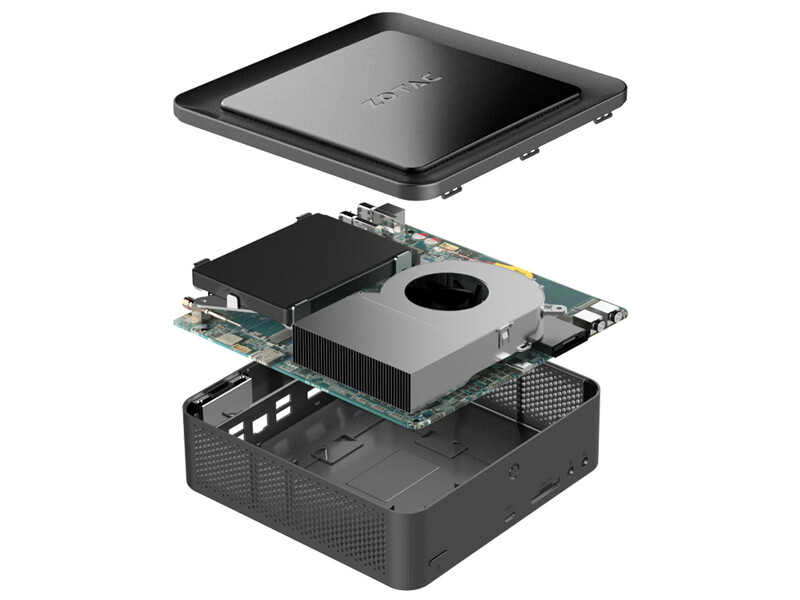 This Mini PC is actively cooled and has large ventilating surface area. It is equipped with an i5-7300HQ, with Intel HD Graphics 630 and up to 32GB of DDR4 2400MHz RAM. 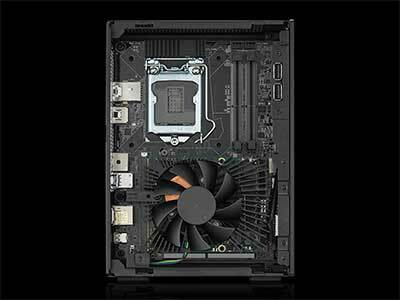 The MI553 chassis measures 184 x 184 x 72mm, only slightly larger than a Mini-ITX motherboard. Inside the chassis is an interesting motherboard design with a 2.5in drive bracket and the large side blower fan mounted to the CPU. Next up we have the ZBOX PI225 with another new form-factor. 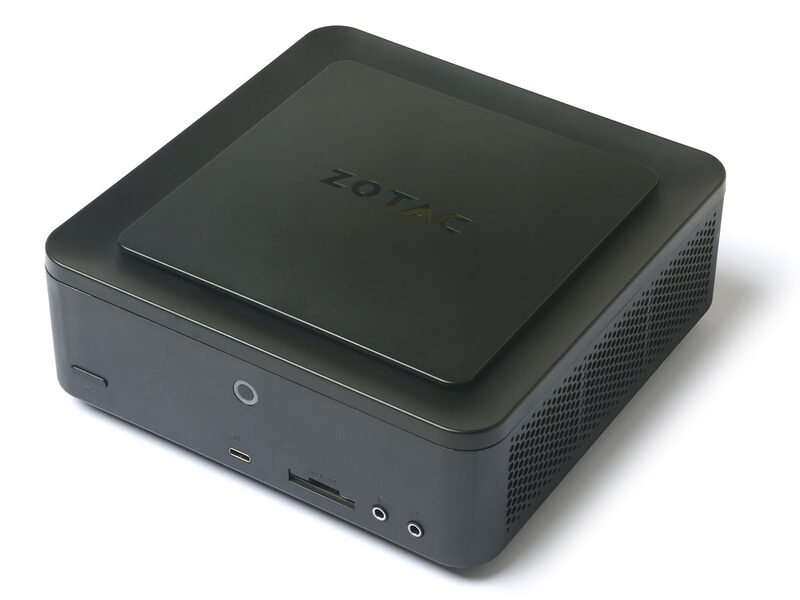 Zotac advertises this one with the bold title of "world's smallest". And indeed it is. Measuring at a mere 0.05 litres (8 x 95.4 x 63mm) it is smaller than your average smartphone. Despite its miniature size it still packs a punch. The Apollo Lake Celeron N3350 is clocked at 2.4GHz and the 32GB onboard eMMC storage and 4GB of LPDDR3 RAM will be more than enough to handle everyday tasks such as web browsing, video streaming and content consumption. As far as connectivity inside this little marvel goes it has two USB 3.0 type C ports, 802.11/ac Wi-Fi, Bluetooth 4.2 and a Micro SD card slot. Earlier this year Netgate - the maintainers of pfSense, the popular open source firewall/router distribution based on FreeBSD - announced that they would be dropping support for CPUs without AES-NI starting from version 2.5. AES-NI is an extension to the x86 instruction set used to hardware-accelerate AES encryption and decryption. Desktop CPUs have supported AES-NI for several years, though the lower power consumption Atom and Celeron CPUs used in many Mini-ITX boards and appliances have not until more recently. 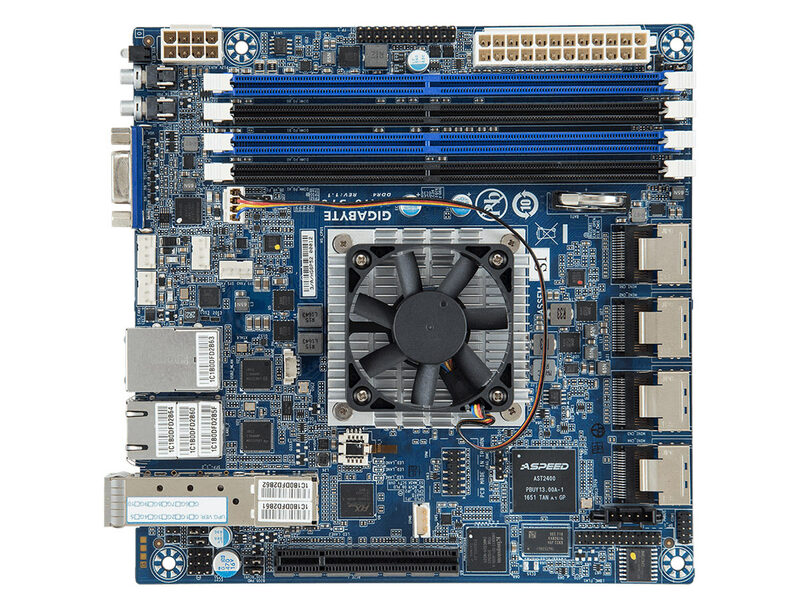 How does this affect my existing Mini-ITX pfSense Firewall? It won't, unless you want to upgrade. If your CPU has AES-NI, you can continue upgrading to 2.5 and beyond. If your CPU does not support AES-NI then you will be able to go no further than 2.4, which will still be available for download. Support for 2.4 will continue for many months afterwards and of course your firewall will continue to function, though without any features introduced from 2.5 onwards. At the time of writing, 2.3.4 is still the official release and later versions are still in beta. pfSense 2.5 will be built on FreeBSD 12 - which won't be released until early/mid 2018. A pfSense 2.5 release is most likely much later in 2018. Are there any alternatives to pfSense? There are many. VyOS, Untangle, IPFire, Sophos UTM, ZeroShell, Shorewall, DDR-WRT to name but a few... or plain old IPTables. 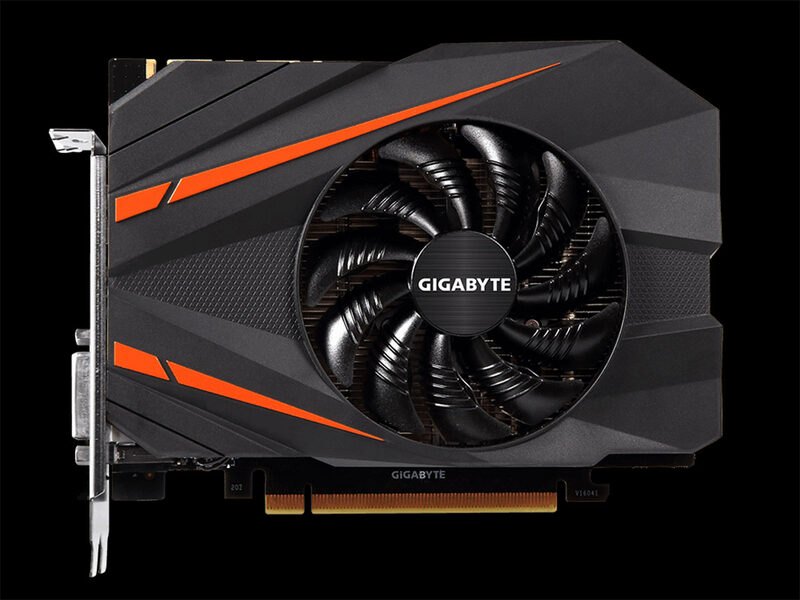 As the demand for smaller and more powerful Graphics Cards grows, Gigabyte have launched a bigger brother to their already existing GTX 1070. 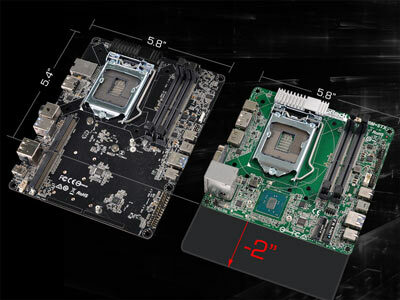 The 1080 Mini follows the same footprint: Dual slot thickness, 131mm height and 169mm length. This card gets an upgraded power delivery system with 5+2 power phases (from 5+1 of Founders Edition cards). TDP is up to 180 Watts, slightly more than the 150 Watts of the 1070. The card is powered by one 8 pin connector and it keeps the same look as the 1070 model, with the same heatsink and semi-passive 90mm fan which only kicks in when a pre-determined load or temperature is reached. As far as the clock speed goes, it can go a bit faster than a founders edition in OC mode, and like the previous model it has two modes: Gaming and OC mode. But of course boost clocks will ultimately be determined by the temperature, ambient temperature and airflow in your case. 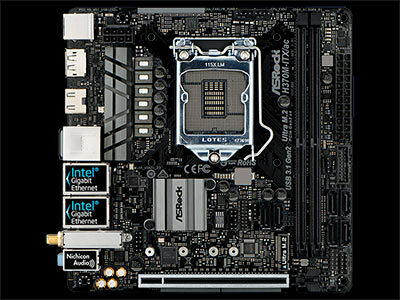 Two years ago Intel introduced their desktop-CPU-on-tiny-motherboard 5x5 form factor, later re-named as "Mini-STX". ASRock subsequently launched their first generation DeskMinis and have now introduced their second generation called the DeskMini GTX/RX, this time with a newer and very slightly larger Micro-STX form factor. This tiny PC is able to pack up to an i7 processor, 32GB of DDR4 SODIMM memory, two SSD or HDDs, triple M.2 SSDs and a discrete graphics card in a size of only 2.7 litres. One of the most interesting aspects of this PC is the MXM GPU slot. 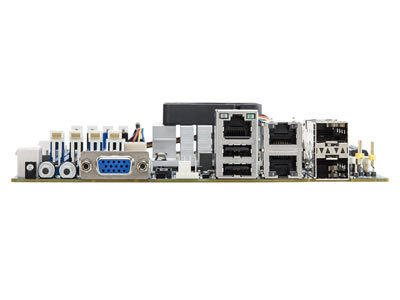 Mobile PCI Express Modules have generally been found to date in some higher end laptops and All in One PCs. 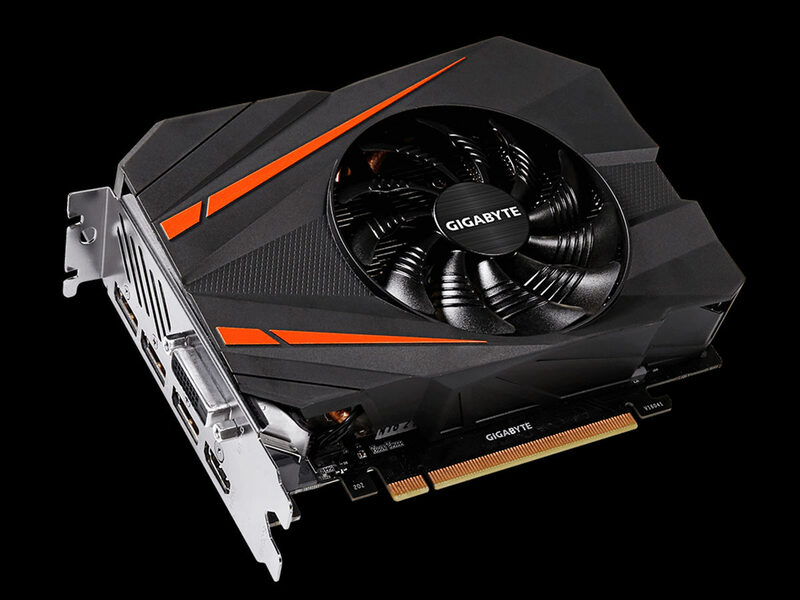 The 5 variants of the GTX/RX so far listed are fitted with: a B250M-STX board with MXM slot, a Z270M-STX board with MXM slot, B250M-STX with GTX 1060, B250M-STX with GTX 1070 and B250M-STX with GTX 1080. It is possible to fit up to B+ size MXM GPU in the GTX/RX chassis. As the name of this PC suggests, it is capable of housing a GTX 1080 or (slightly further down the line) an RX VEGA MXM graphics card. 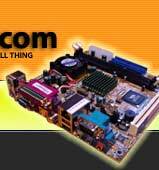 ASRock are said to be working with Aetina and TUL to ensure a stable supply of cards. 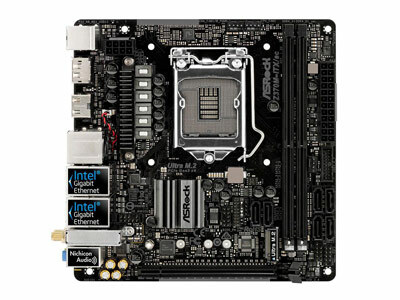 A welcome change from the earlier DeskMini is the all-black PCB with black Mosfet heat sinks. 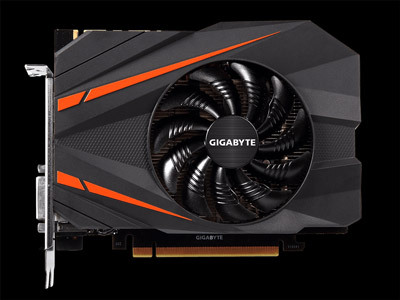 Lately a lot of details about Gigabyte’s new MA10-ST0 have emerged. 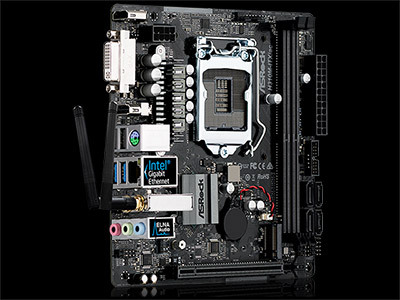 The motherboard has an impressive feature set. There are many and the first (and most exciting) one is Intel's new Denverton Atom chip. 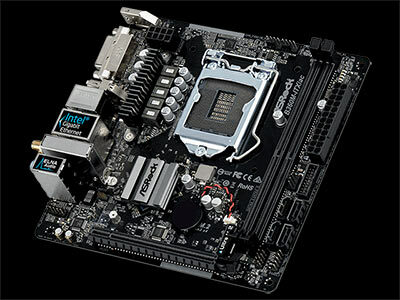 This model features the C3958 SoC with 16 cores each running at 2.0Ghz. Meanwhile the chip only outputs 31 Watts of heat. The MA10 supports up to 512GB of RAM running in dual channel mode (128GB per stick); 10G Ethernet with Dual SFP+ ports allowing up to 20Gbs full duplex encryption with Intel QAT; IPMI 2.0 remote management; a 32GB eMMC memory module for your OS; four Mini-SAS ports - each of which supports 4 SATA ports - giving 16 SATA ports in total; and if all this isn’t enough - a Gen3 PCI-Express x8 slot. 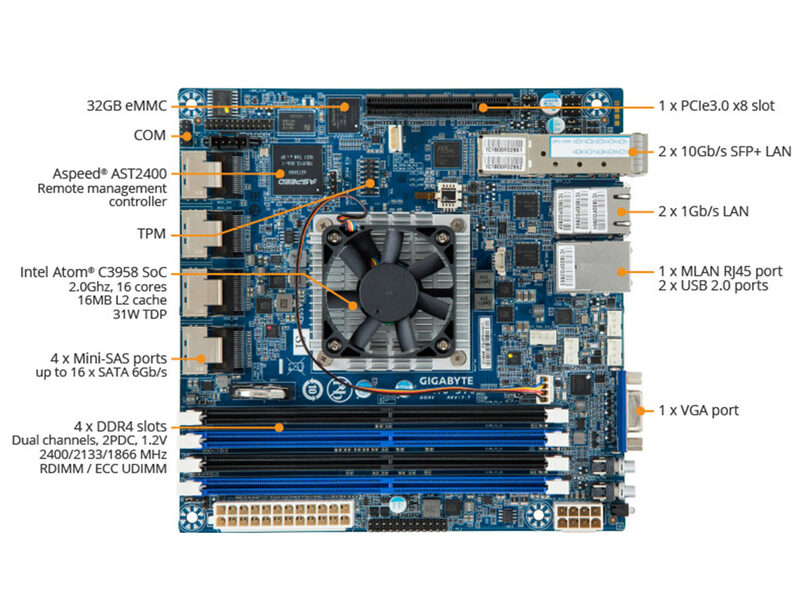 Given the 10G Ethernet and impressive number of SATA ports, this motherboard is clearly aimed at the cold or edge storage market. Word on the street is there will be another model called the MA10-ST1, likely with a Dual Core C3338 SoC, 2x 1GB LAN, and 2x DDR4 RAM slots. And if this one doesn’t quite have the right spec for you, other server board manufacturers will soon be joining the Denverton party with variants on the same theme. With the increasing popularity of DC-DC power supplies, we have made a guide to help choose the right one for your needs. In the context of computer motherboards, a DC-DC converter accepts a single DC input and converts it into the very stable voltages that a motherboard needs to operate (generally 3.3V, 5V and 12V, though some boards only require a single regulated voltage). A DC-DC converter will always be paired with either an AC Adapter (aka 'Power Brick') or a DC voltage from another system such as a battery. The advantages over a standard ATX power supply are twofold: reduced size, and reduced noise as DC-DC converters are almost always fanless. ATX power supplies have the upper hand when larger amounts of power are required. We probably won't be mining any bitcoins using DC-DC converters any time soon. How many Watts do you actually need? We will often total the maximum power consumption of each component to calculate the power draw of a system under load. Thermal Design Power or TDP - though strictly speaking a measure of heat dissipation - is a useful measure for processors and GPUs. Other components such as your SSD and even your RAM will consume more power. And don't forgot those powered USB devices. Several online calculators exist, though they tend to calculate from the perspective of a traditional ATX power supply. Figures given will often be much higher than real world figures. For example we've measured an H270 Mini-ITX system fitted with i3-7100T processor, SSD and Slim Optical Drive at 23W idle and 32W under medium load. The other thing to note it that no power supply can ever be 100% efficient (DC-DC units are typically within the 90-95% range), so there will always be some Watts wasted in the form of heat. 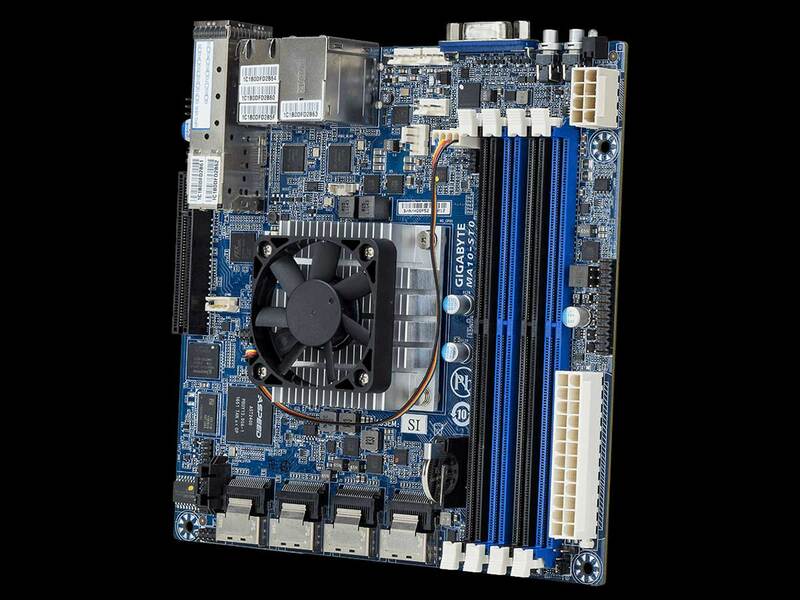 Our rules of thumb: Any motherboard with an embedded Celeron, Atom etc. will be fine with a 80W or 90W DC converter. If you have a 35W TDP processor a 90W DC converter will be sufficient. A 45W Xeon or 54W Pentium or above will need at least 120W. We can roughly break down typical DC-DC converters used with Mini-ITX motherboards into Fixed Input, Wide Input and Vehicle. Fixed Input DC-DC converters will only accept a regulated input. If the PSU is rated to accept 12V it will only accept 12V as the input. Wide Input DC-DC converters are more adaptive and will take a range of voltages. For example 12-24V, 6-34V, 12-72V etc. Vehicle DC-DC converters will work with a wide range of voltages and include protection against the rapid changes in voltage cranking an engine can cause. They will often include battery-specific functionality - powering off a computer if a battery has discharged below a certain voltage for instance. Our rules of thumb: If you are using a battery, get a vehicle capable DC converter. If you have a regulated power source that isn't 12V, get a wide input DC-DC converter. If you are powering from a standard 12V AC Adapter, use a standard DC-DC converter. Traditional DC-DC converters are built on a printed circuit board with an input and an output side. This allows them to be easily mounted within a case or sometimes an external enclosure. Many Mini-ITX specific cases use this type of DC-DC converter in conjunction with an external AC Adapter. Power output can be as high as 400W for a custom-designed model, though typically much lower to suit the task in hand. picoPSUs are a category of DC-DC converter that connect directly to a motherboard's ATX power connector, removing the need for the ATX cable between the DC-DC converter and motherboard. Fixed Input picoPSUs have yellow pins, the wide input have red and the vehicle capable picoPSUs have blue pins. Power output for official picoPSUs varies from 80W to 200W peak. For edge cases, higher wattage home-grown 'unofficial' picoPSUs also exist. Our rules of thumb: A 20pin picoPSU will work just fine if your board has a 24pin ATX connector. The additional 4 pins aren't required except in very specific circumstances. If you are powering your Mini-ITX system from a wall socket you will require an AC Adapter. The AC Adapter converts the Alternating Current from your wall socket into a single Direct Current suitable for the DC-DC converter. You will need to pair your DC-DC converter with a suitable AC Adapter. No matter how much wattage your DC-DC converter can output, it will be limited by the power output of your AC adapter, e.g. a 200W DC-DC with an 80W AC Adapter will still only provide maximum 80W of power. Our rules of thumb: A 80W AC Adapter pairs well with the picoPSU-90; A 150W pairs well with the picoPSU-150-XT. Your AC Adapter and DC-DC converter will need to have the same voltage, plug and socket type to connect. A re-purposed Laptop power brick will probably need a new plug and a wide input DC-DC converter to function. We have entered the video age and made a short piece about the JBC313 and JBC323 Mini PCs. 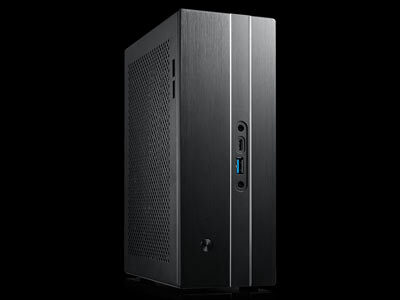 They are rugged, low power consumption and fanless Mini PCs under a litre in volume with 2x Intel I211-AT Gigabit LAN ports, powered by a Quad Core Celeron N3160 Processor with support for AES-NI acceleration in hardware. 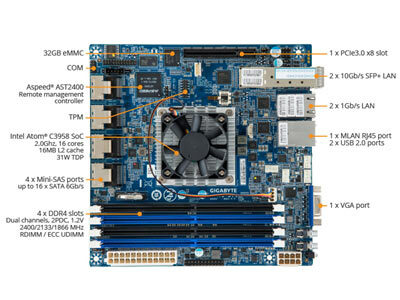 The Intel chipsets and AES-NI make these machines ideal as dedicated Linux-based network appliance devices - pfSense advocates in particular will like these. We plan to make more. If there is something else you would like us to make a video about please let us know in the youtube comments. Copyright: All content on this site is Copyright © 2002-2019 Mini-ITX.com and respective owners, all rights reserved.